Undoubtedly leaving a clean and healthy environment for future generations is one of the biggest challenges of this century. Far too many times our economic greed overtakes the health of our planet and as a consequence, we risk facing devastating consequences. Each time I visit places like Fiji and see breathtaking scenery the question I ask is: Will my granddaughter and future generations see this? If not, then what am I doing about it? One of the ways to tackle this challenge by educating the younger generation about their environment and the world they live in. 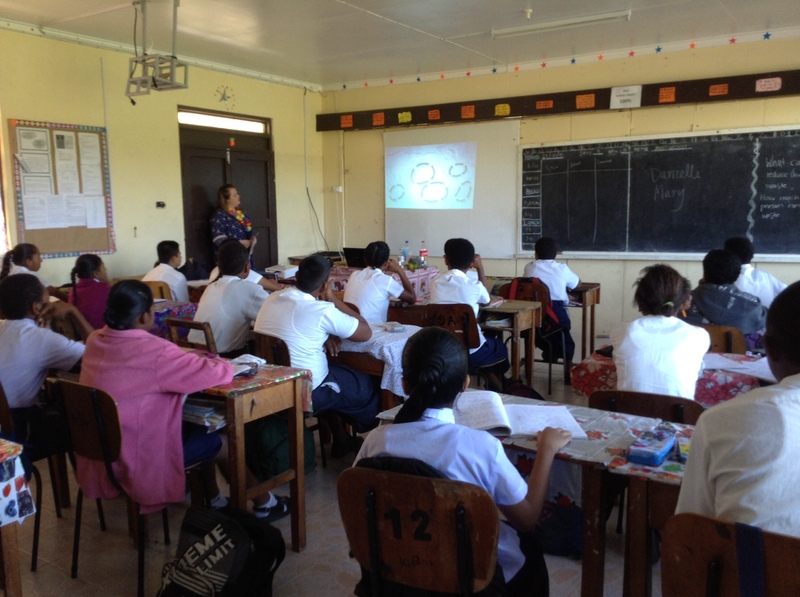 Within the year 9-science curriculum in Fiji, there is a unit which focuses on the environment. 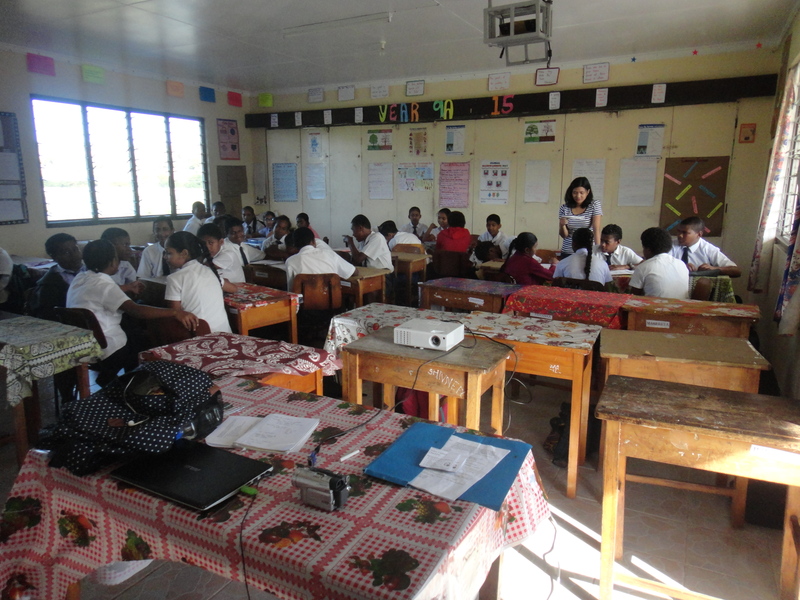 As part of an outreach project supported by the Australian Government’s New Colombo Plan, students from the Queensland University of Technology (QUT), designed, developed and implemented a classroom activity that explored the subject of plastics, its impact on the environment and the ways in which it can be recycled. One of the outcomes of the activity was the production of a short documentary. With the support of the principal Segran Pillay, the head of science Pranita Prasad, and the students – this would not have been possible. The team was led by Danielle Wales and Mary Mosquera and supported by Geoffrey Polzin and Matthew Turner. Prior to QUT students travel to Fiji, they developed an activity plan and engaged in micro-teaching one of their lessons for their peers. Students at Balata developed storyboards, scripts and ultimately performed and recorded their documentaries. They also presented their knowledge to the participants with confidence at Balata’s open day. Danielle Wales and Mary Mosquera’s leadership in this activity is praise-worthy. They delivered an activity that can have a real world impact. Well-done team! It is a step in the right direction. If students throughout the world become more conscious of their environment, then it paves the way to a healthy planet. The outreach programme of QUT has been very beneficial to me and my students. This session has actually taught me a lot as to how ICT can be used in the Science classes. The step by step details of how to go about engaging students to make video on a particular concept has been very useful form of professional development. I have learnt that making a video is not just taking the camera and start taking the shots, but actually teaching the students the camera angles, camera functions, planning by completing the story board, the actual taking of shots and consideration of background noise and then finally editing the video using openshot video editor software. I really appreciate the classes taken by Ms Danielle and Mary. Students were actively involved in the activities and this made a lot of difference in their understanding of the concept. Thank You QUT Team for choosing to engage with our school. Mary is a third year BEd primary student. Danielle and I had the opportunity to work with the Year 9s on a Basic Science unit on the topic of plastics. The aim of our lessons were to create an awareness on the impact of plastics and how we, as humans, can minimise these effects. Our plan was to go into the school and get the students to create a short video on how to recycle plastic materials at Balata College. The students were able to easily relate to the subject as plastics are an everyday part of life, and they all want to do their part for the earth. It was amazing to see how actively engaged the students were with the activities and how quickly they adapted and learnt to use the technologies that were entirely new to them. The best part of the whole teaching experience was seeing the students faces light up as they watched their final products on the projector, just seeing them smile uncontrollably when they saw all their hard work and effort on screen meant the world to me, it showed that we had taught these students a new skill that they were proud of. I was so happy to see the teachers get involved with our activities, especially Ms Pranita Prasad. Seeing her engage with the students and actively work with us to make the lessons possible was simply amazing. All this would not have been possible without the hard work done by the whole group who went to Fiji, Mr Segran Pillay, Ms Pranita Prasad and to the man who started it all, Dr Vinesh Chandra. Travelling over to Tavua, Fiji was an amazing and unforgettable experience. I learnt a lot about my teaching profession and also myself. This trip allowed me to be integrated into the Fijian society, enabling me to better understand a different culture whilst also making lifelong friends. Through being immersed in a different culture, I was able to gain valuable insight on the different ways knowledge can be constructed through the use ICTs inside the classroom. After this trip, I feel very confident about teaching abilities and am looking forward to applying my developed knowledge into my future classrooms in Australia. A major highlight of this experience was watching the students watch their final products. The students’ faces lit up upon watching their constructed videos, and the joy on their faces made everything feel valid and worthwhile. 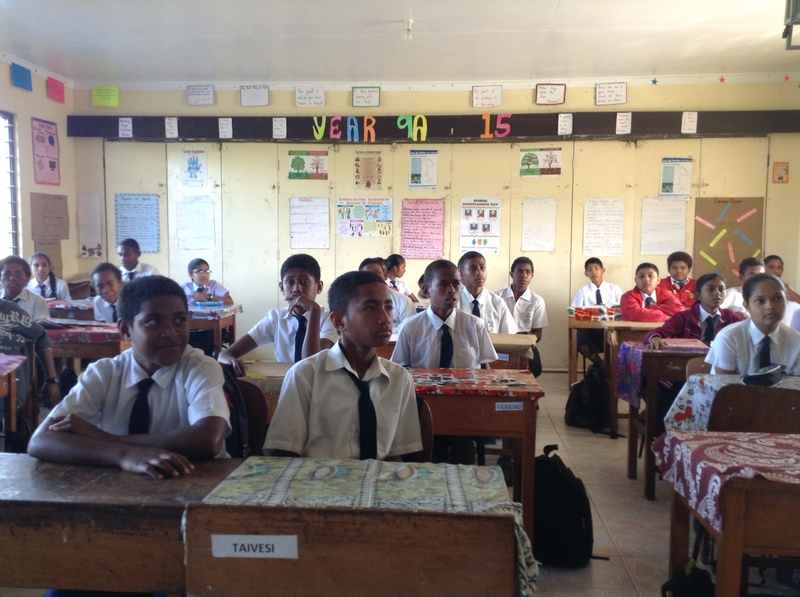 I would like to thank the students of Balata High School and also the science teacher, Mrs Pranita Prasad. Thank you so much Pranita for helping the science unit of work to run smoothly. With your help we were able to successfully teach the students the content as well as how to film, edit and complete their final products. This entry was posted in 2015, Balata High School. Bookmark the permalink.